"Dental Plus - Adding Value to your Smile"
Dr. Alpesh H Patel is a Leading Dentist, implantologist, Laser and cosmetic dental surgeon in Ahmedabad, Gujarat. 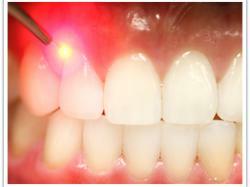 Dr. Alpesh H Patel practices at Dental Plus Clinic having experience of more than 17 years. He completed BDS in 2001 and MDS in 2004. He has done certificate course in Public health from Deakin University, Melbourne (AUS). 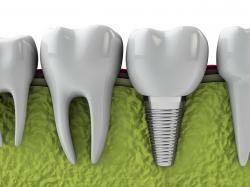 He has done many courses in endodontics, Implants, Lasers and Cosmetics. Some of the services provided by the doctor are: Implants, Lasers, RCT (Root Canal Treatment), Fix teeth, Cosmetic dentistry, Fillings, Scaling, Extractions, Dentures etc. 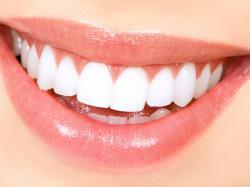 He is associated with many national and international dental organizations. Currently he is Hon.. Secretary of Dental Practitioners' Society, Ahmedabad. It was very comforting as i was scared for the dental treatment but the doctor and the nurse made sure i was comfortable and was confident that it wont hurt and the rest of the treatment was conducted very smoothly. My experience at Dental Plus clinic is beyond expectation. My Appointment start on-time. Doctor and assistance staff is too supportive. Guidelines given by doctor is accurate. I recommend Dental Plus clinic based on my personal experience. My experience at clinic was excellent. Dr. And other staff members have been provided very good treatments and services. Thanks & regards, Mihir Patel. Highly knowledgeable & experienced doctor Mr. Alpesh Patel, really we are happy.